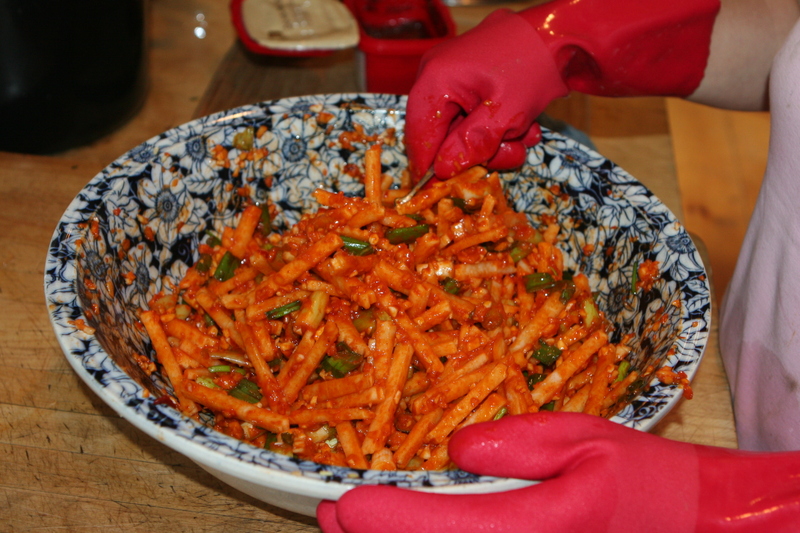 We are making Kimchi at Water Run Farm. In late May Bill brought over a couple of dozen Napa cabbage. The once thumb-sized plants are now as big as Becky’s head. 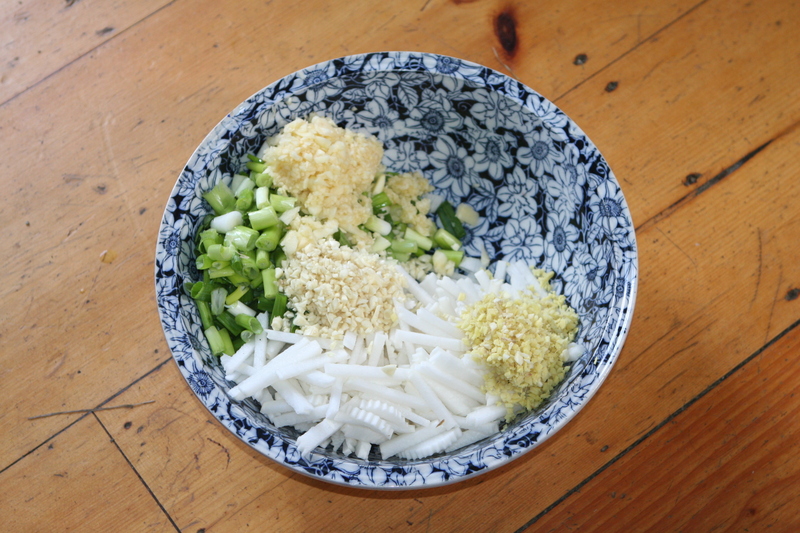 So last week we cut a dozen or so heads after a trip to the Korean market in Hadley, Massachusetts, where we picked up a couple of large daikon radishes, red chili pepper paste, fish sauce and ginger, to which we added green onions and garlic. 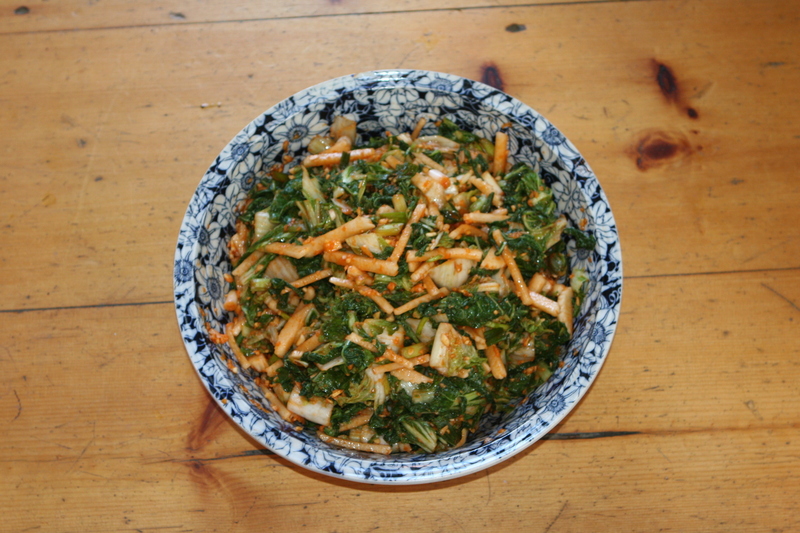 Kimchi is a pickled vegetable dish that is the nationa dish of Korea. (I read somewhere that when a photograph is taken in Korea people say “kimchi” like we say cheese.) Apparently, the traditional practice of salting vegetables in East Asia was changed during the Japanese invasions of Korea in 1592 and 1598 when red chili peppers began appearing as an ingredient in some kimchi recipes. 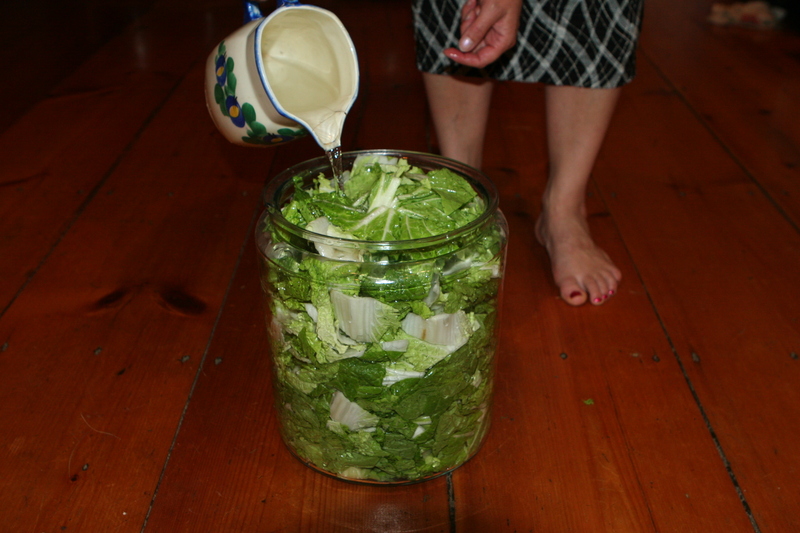 Fermenting cabbage smells, well, like fermenting cabbage, and kimchi apparently has a reputation for stinking up whatever joint it happens to be in. 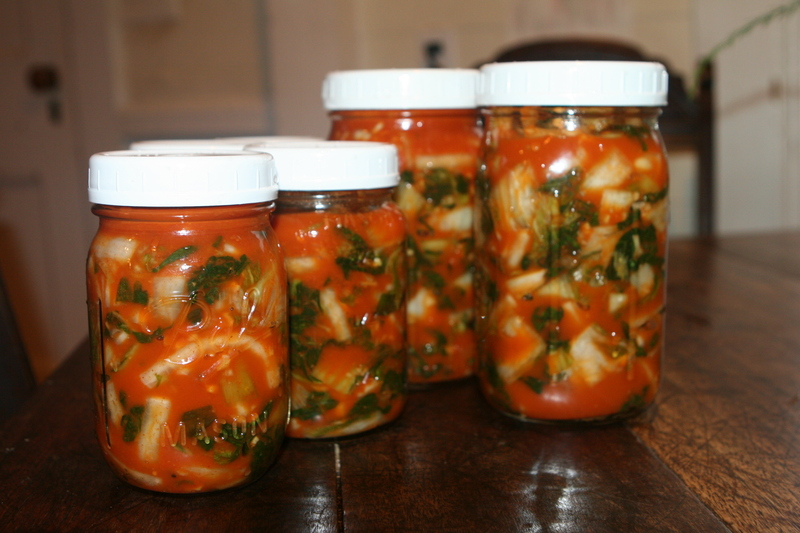 There are all kinds of health benefits from eating Kimchi, too, though the question is whether there are health benefits from eating too much kimchi, as it goes with just about everything.